Those wishing to update to High Sierra should do so. We will be testing Mojave as it gets closer to release date. Theatre Manager is undergoing changeover from a 32 bit to a 64 bit application. Full changeover for all clients is expected to be complete in early Fall, 2018 (after which, the 32 bit version will receive support for a period of time - and depending on client workstations, slowly phased out). 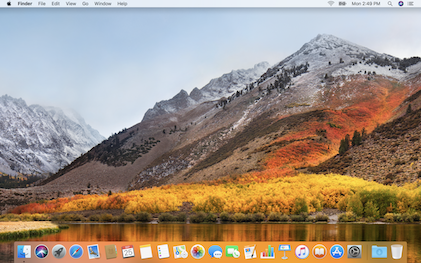 Apple has stated that OSX will not support 32 bit applications in Mojave. At the Oct 2018 release, it became clear that Apple deferred the decision for about a year. We suggest users put plans in place to update OSX to High Sierra before Sept 2018 -- at a time convenient for your venue if you are using Yosemite or earlier. It also means if you are already using El Capitan or Sierra, or High Sierra, you can use both 32 bit or 64 bit Theatre Manager without doing anything to your machines to upgrade them. For Windows Users, there will also be a 64 bit version of Theatre Manager coming in the future.